Staten Island Democrat Deborah Rose at a 2010 rally outside City Hall. Kamillah Hanks is mounting a serious challenge to the two-term incumbent. In recent years the North Shore has become the focal point of development and rezoning on Staten Island. The emerging, new-look waterfront will eventually include the much anticipated New York Wheel, the Empire Outlets mall, the existing URBY luxury apartment building and, possibly, the rezoning of the Bay Street corridor. A lot is coming to the area. And next week’s Democratic primary for the local Council seat could turn on whether voters feel local residents are getting enough out of the development deals. Councilwoman Deborah Rose, who made history in 2009 as the first Black elected official from Staten Island, is being challenged by another Black woman, Kamillah Hanks—who pulls no punches in her criticism of the incumbent. “Development and rezoning are important, but this community has had to deal with so many other issues prior to these projects, and as a councilwoman, I would have thought that Debi Rose would have looked at how they would benefit from these developments,” says Hanks, who is the former executive director of the Downtown Staten Island Council and founded the Historic Tappen Park Community Partnership. “I’m committed to responsible development,” reads Hanks’ website. 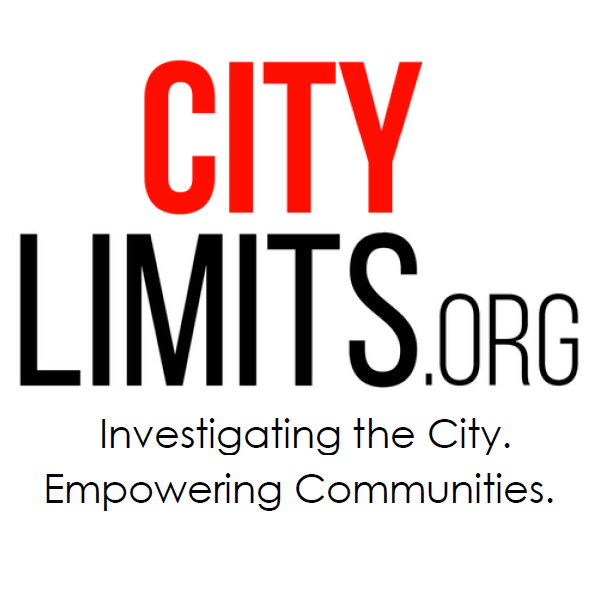 “I’ve watched projects fail, I’ve seen our residents left out of job sites, I’ve seen the disregard for our community, and this ends when I’m elected.” Asked by City Limits to clarify her position on the Wheel, Hanks said that she supported it initially, that her enthusiasm has waned as the project dragged on and the community was left out of crucial design decisions—but that she still wants to see it built. A longtime community activist, Rose ran in a 2009 special election for the 49th district after Michael McMahon vacated the seat to enter Congress. She lost by 350 votes out of 11,000 to Kenneth Mitchell, whom she defeated in a primary later that year before cruising to a general election victory. She was handily re-elected in 2013. Rose sits on the Aging, Civil Rights, Education and Transportation committees and chairs the Committee on Waterfronts, which has met only twice this year, less than virtually all other Council committees. Over her nearly eight years on the Council, Rose has introduced 29 laws and seen nine adopted. The most recent became law last summer and required the NYPD to produce an annual report indicating how many cops in each precinct have had multiple substantiated Civilian Complaint Review Board complaints or other disciplinary black marks in recent years. That measure likely didn’t please the Patrolmen’s Benevolent Association, which endorsed Hanks. Both candidates qualified for the maximum public financing available in a Council primary–$95,095—-but Rose raised more in private funds and Hanks has spent more heavily, so the incumbent had at last report just shy of five times as much money on hand as her challenger. Michael Penrose awaits the primary winner in the general election, where he will have the Republican and Conservative lines. Democrats have increased their registration edge in District 49 (which covers the neighborhoods of Arlington, Clifton, Clove Lakes, Concord, Elm Park, Graniteville, Livingston, Mariners Harbor, New Brighton, Port Richmond, Randall Manor, Rosebank, St. George, Snug Harbor, Silver Lake, Stapleton, Sunnyside, West Brighton and Tompkinsville) over the past few years and now enjoy a nearly four-to-one advantage. Both Rose and Hanks will be on the general election ballot regardless of who wins the primary: Rose is the Working Families Party nominee and Hanks has the backing of the reform party. The North Shore is among New York’s least dense community districts, and according to the Furman Center’s annual State of New York City Housing and Neighborhoods, it boasts the highest rental vacancy rate in the city. But residential sales volume is brisk and more than a third of households are severely rent burdened—meaning half or more of their income goes to rent. Local advocates say fears of gentrification and displacement are palpable. Developments like the URBY as well as the Lighthouse Point will make 20 percent of their units affordable for New Yorkers earning 60 percent or less of the area median income, she says. Perhaps the biggest question mark hanging over the neighborhood is the potential rezoning of the Bay Street corridor. Hanks tells City Limits she won’t support a rezoning until the city commits to funding infrastructure improvements. “We cannot build up and welcome new residents when the current transit system and the school system is dealing with extreme delays and overcrowding.” She blamed Rose for being absent from the rezoning discussion. For her part, Rose says, “As I have said many times, we will not increase density without the infrastructure in place to support new residents. Regarding affordability levels, my priority has always been that newly rezoned areas would provide housing for a mix of income levels.” She wants the rezoning to approve mandatory inclusionary housing with affordability option 1, under which 25 percent of new units would be reserved for households who incomes average 60 percent of area median income, or $46,620 per year for a family of three). With the September 12, primary bearing down both Rose and Hanks will also focus on some of the districts other pressing issues like traffic, transportation and overcrowded schools—each of which has the potential to become increasingly worse with the influx of residents to the North Shore. Rose has supported studies to relieve traffic congestion in the area but in a June 30 report by the New York Times, the North Shore still ranked as one of the worst areas of the city for traffic, at least as far as its residents are concerned. Public schools have also become a major issue in this race as the district is suffering with severe overcrowding. Several schools in the district are over 150 percent over capacity, with one school in particular—P.S. 35 Clove Valley—201 percent over capacity. In November 2016, Rose announced the construction of a new 700-seat school on 357 Targee Street. Her north shore SI district comprises the worst neighborhoods with the highest crime rates on Staten Island. Approx 75% of SI’s robberies and 79% of SI’s assaults take place in her district which represents roughly 33% of the island’s population. Whether either one of them supports the NY Wheel is moot at this point with no work being done since May when the builder walked off the job for various reasons, among them claims that the sub soil won’t support the Wheel and the concrete pad is defective. There is currently NO ONE contracted to build the Wheel, which was last scheduled to open in spring of 2018 and is now “indefinitely delayed.” It was a bad project for its location next to the ferry, and Debi Rose jumped at it and refused to even acknowledge the potential something like this happening – a boondoggle that impacts tens of thousands of Staten Islanders who commute by ferry daily. She sold us out for very little in return, at least to her constituents, maybe it was a good deal for HER. Debi Rose did some real damage here. A change is needed, but it remains to be seen if Hanks would be any better. Marius looked like the best option, but he was closed out. And lo, there was to be much meeting and greeting.